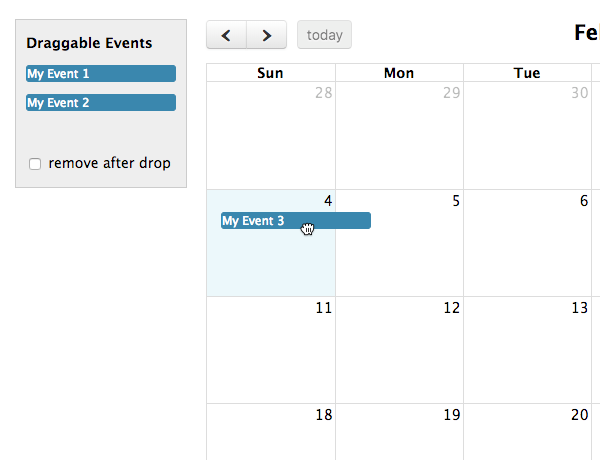 How to enable and control where the user can drag-n-drop and resize events. Start by setting the editable setting to true. If you want to allow external elements to be dropped onto your calendar, visit the droppable, drop, and eventReceive articles. 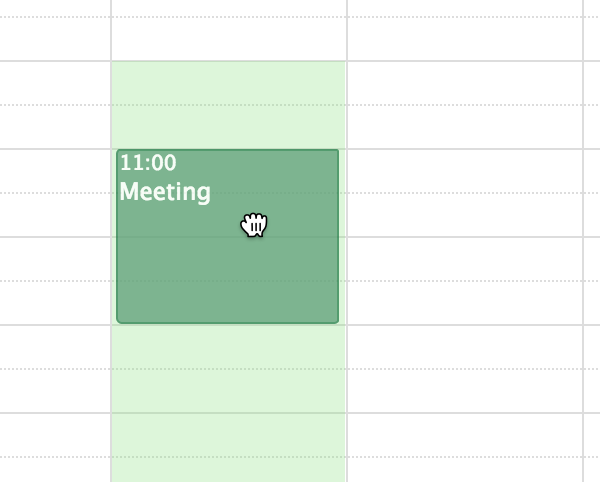 Allow events’ durations to be editable through resizing. How many pixels the user’s mouse/touch must move before an event drag activates. Time it takes for an event to revert to its original position after an unsuccessful drag. Determines if events being dragged and resized are allowed to overlap each other. Limits event dragging and resizing to certain windows of time. Exact programmatic control over where an event can be dropped. Provides a way to filter which external elements can be dropped onto the calendar. Triggered when event dragging begins. Triggered when event dragging stops. Triggered when dragging stops and the event has moved to a different day/time. Called when an external draggable element or an event from another calendar has been dropped onto the calendar. 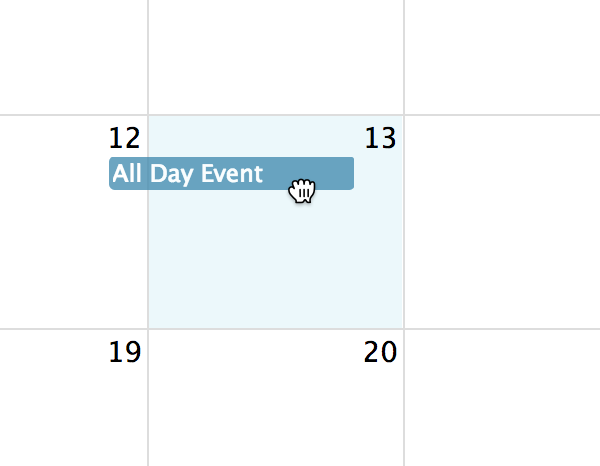 Called when an external draggable element with associated event data was dropped onto the calendar. Or an event from another calendar. Triggered when event resizing begins. Triggered when event resizing stops. Triggered when resizing stops and the event has changed in duration.